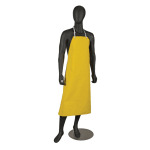 The San Jamar 615NBA-Y bib apron is made of Neo-Flex™ fabric, which repels grease and liquids while being cut resistant, heat resistant, and fire retardant. 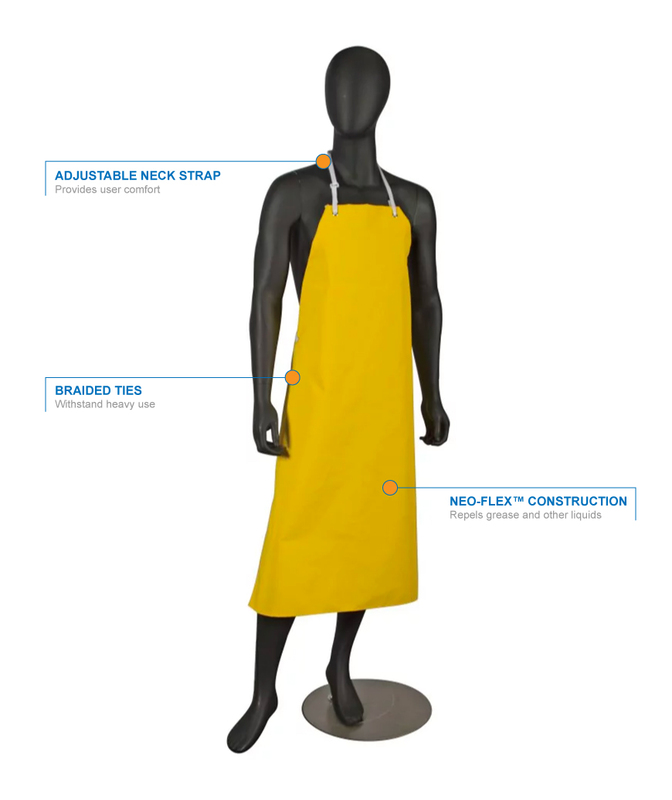 Since the ties are braided, they will not break or fray with daily use, and the neck strap can be adjusted for comfort. 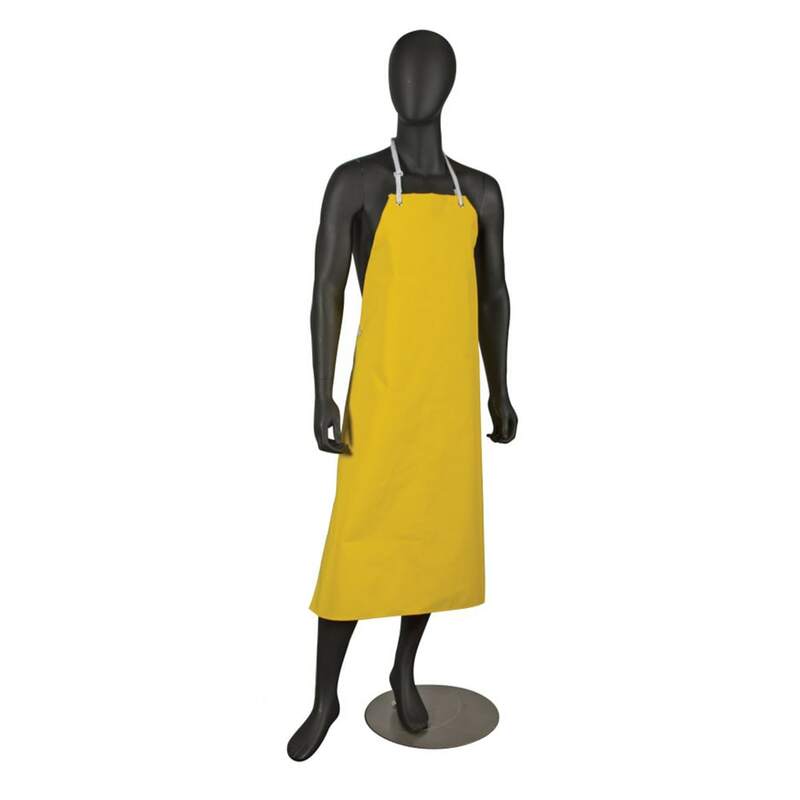 This apron is excellent for washing dishes, handling grease, and protecting against cooking liquids.